The huge number of new members of the Liberal Democrats are making me think differently about the familiar problem of balancing resources between target and non-target seats, and the possibility of attracting support in a way that parallels En Marche in France. For a long time targetting has been a difficult decision for Liberal Democrats. The electoral system means that, if we lean too far one way, we spread ourselves too thinly and are even more badly under-represented in parliament. If we lean too far the other way, we create Liberal Democrat “holes” where there is more-or-less little for people to join, which makes it really hard for that situation to change. But one of the many unusual things about this General Election campaign is that it is taking place in a period of rapid growth while our membership is growing rapidly. In June 2017 I was the parliamentary candidate in a constituency where membership is up 400% since the 2015 General Election and 250% since the EU referendum. 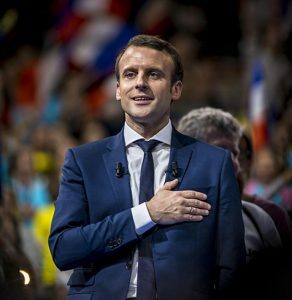 Emmanel Macron’s En Marche movement in France. En Marche seems to have come out of nowhere, reacting to the failure of the main parties in France. It is Liberal and pro-European. It’s vanquished the forces of the far right in France, and has the wisdom to reach out to the disaffected, offering something more valuable than the extremist rhetoric which would only make things worse. Parallels with the UK rather scream. Both Labour and Conservatives look like dysfunctional parodies of themselves, notwithstanding the surge of support for Jeremy Corbyn going into the 2017 General Election, and we are seeing continued membership growth. Looking beyond the 2017 General Election, it seems vital to engage new members properly. When a new member comes along wanting do deliver leaflets and knock on doors, it’s essential to have leaflets to deliver and doors to knock. When they bring new ideas, we need to listen. People do recognise the need to adapt to the unfairnesses of the electoral system, but the comment I kept hearing from our new members was “I want to go to a target seat at the weekend and do something locally in my evenings”. My strong suspicion is that this was producing more activity in target seats at weekends than we’d get if they were met with a limp “We’re not doing much, but you might like to drive for an hour or two and see what is going on”. And the flip side of people going to target seats is that one wants them to come back saying “How do we do that here for next time?”. Over the coming months I assume the Tories will continue making a mess of Brexit. We will continue to show this up. Mobilising our membership is a good way of applying pressure, and of connecting with others uncomfortable at what the government is doing. A “both-and” approach to working with the energy of new members can feel counter-intuitive, but, if we can get it right, offers more for target seats, and more away from them to build for the future.